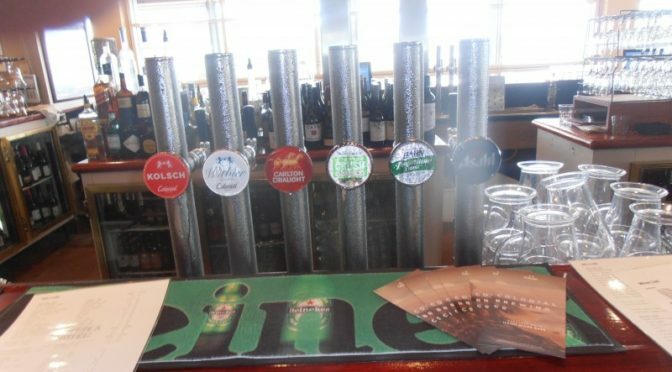 Andale recently installed a new Glycol Beer System at the iconic Portsea Hotel.Established in 1876 The Portsea Hotel is one of Australia's most iconic and busiest hotels. Working closely with the team from The Portsea Hotel, Andale designed andinstalled a new glycol system in late 2012. The new Glycol System was designed to suit the specific needs of The Portsea Hotel and needed to be able to keep up with high demand and be user friendly. The system includes 58 custom designed beer fonts, Andale's Q-Guard Beer System, Beer Pump Gas Systemand 2 x high capacity Andale Coolgardie Glycol Tanks. The result is a user friendly beer system with less beer and gas wastage.